MEMSO Shell now fully supports museums wishing to store and curate online collections of images of artefacts. 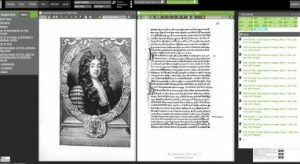 Since TannerRitchie Publishing’s new Digital Curation and Publishing Platform, ‘MEMSO Shell‘ launched in September, it has been attracting attention from historians, librarians, archivists and curators around the world. When we launched, we made it clear that what users see now is just the beginning, and that important and powerful new features would be added in the weeks and months ahead. Today the latest changes and improvements have been launched, making MEMSO Shell easier to use than ever. The most important change is that MEMSO Shell now fully supports museums wishing to store and curate online collections of images of artefacts. Enabling MEMSO Shell as a platform for museums is as easy a clicking a button. 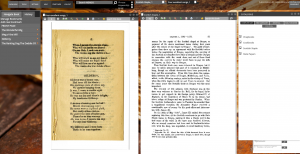 Of course, MEMSO Shell still supports archives and the importing of text-based items such as books, documents and handwritten manuscripts. Try MEMSO Shell today with a month’s free trial. MEMSO Shell main interface displaying two documents. Now fully supports museums and curators wishing to store and categorize images of artefacts, as well as text-based documents, manuscripts and books. Full-featured WordPress content management system now included to provide a powerful public face to your MEMSO Shell database. Full support of Dublin Core and IPTC Core and Extension metadata. Improved admin area user interface. Lots and lots of minor bug fixes! More changes (usability improvements and fixes) will be launched by April 3rd. 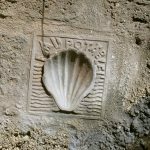 Many – most – of the improvements coming to MEMSO Shell are the result of feedback being provided by our users in the museum, archive and research sectors. Thank you to everybody who has contributed so far to make MEMSO Shell a better application. We are enormously encouraged by response we have received. Special thanks to Catherine Glover of the LIBRALproject, who has provided extensive feedback which is leading to great improvements. The LIBRAL project is an initiative by the British Agricultural History Society to provide an online LIBrary of Rural and Agricultural Literature, (currently) ranging from the literature of the late eighteenth century (the period of the agricultural revolution) to bulletins and leaflets issued by the Ministry of Agriculture and Fisheries during and after the Second World War, and periodicals such as that of the Royal Agricultural Society of England and the Forestry Commission. We’d also like to thank Halton Region Heritage Services, the Scottish Catholic Archives and the Scottish Record Society for the extensive help and feedback they have provided as MEMSO Shell grows, which have resulted in important improvements.